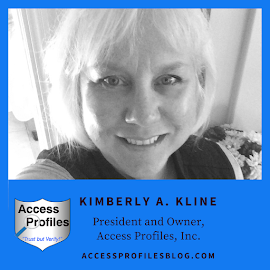 Access Profiles, Inc.: Bullying – Adults Do It Too! 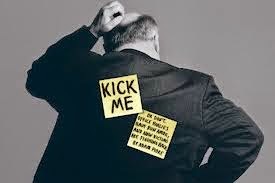 The Problem of Workplace Bullying. Bullying – Adults Do It Too! The Problem of Workplace Bullying. Bullying in the workplace is a problem. Any time workers feel uncomfortable or afraid, job satisfaction and productivity plummet. While more focus is given to the bullying of children, the fact is that many adults are subject to it too. "27% of Americans have suffered abusive conduct at work; another 21% have witnessed it; 72% are aware that workplace bullying happens". So, what exactly constitutes “Office Bullying”? 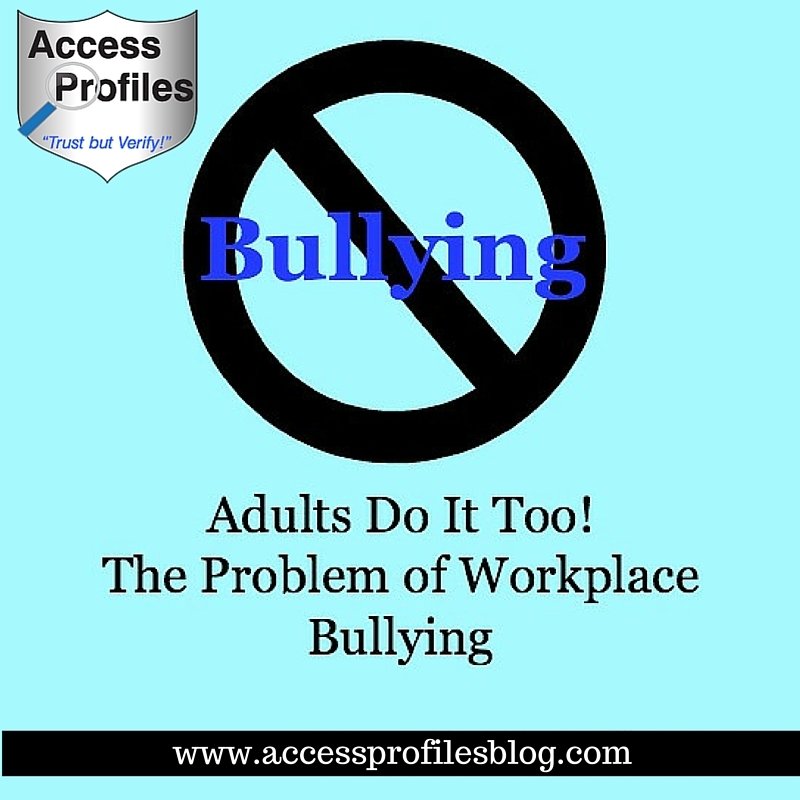 At its most basic, Workplace Bullying is the on-going mistreatment of one or more co-workers by one or more office bully. The key word here is “on-going”. It is not an isolated incident, but is aimed at repeatedly causing harm to the intended victim. Office Bullying creates an unsafe and unproductive workplace. Tweet This! It takes away from the environment most business owners are trying to create – an environment where each employee is encouraged and rewarded. While it may be hard for many of us to believe “adults” bully, they do. We have all heard much discussion and emphasis on the need to stop bullying in our schools. 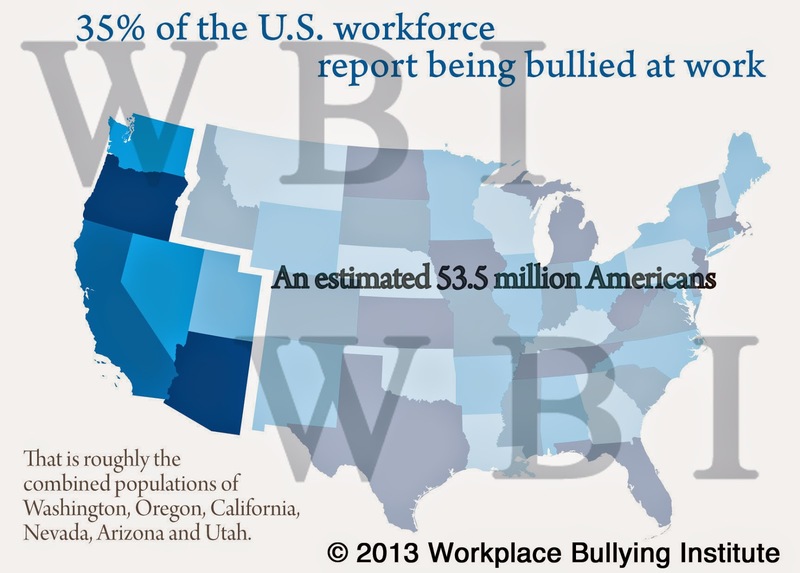 Workplace Bullying, however, has not been given the same priority. One of the main reasons for this is that, in many cases, we do not acknowledge Office Bullying even occurs. Or maybe we believe adults should be able to “take care of" the problem themselves. The reality is, Office Bullying does occur and any time we allow ourselves to put blame or responsibility solely on the “victim”, we all lose. I Challenge All of Us to Believe We Can Make a Difference. More importantly, I Challenge Us All to Take Action. Here is what We Can Do! Keep any Incriminating Texts, Emails, Memos, etc. 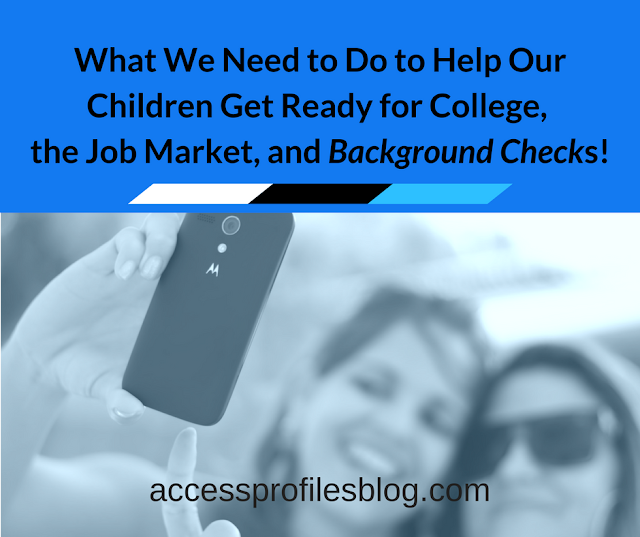 Be Proactive and Screen Before You Hire! We all need to take responsibility and refuse to tolerate bullying. No one has the right to intimidate, belittle, or physically harm another. We can all present a united front and stop bullying in its tracks by Putting the Bullies on Notice! Remember, just because we are now adults, it does not mean that bullying no longer occurs. Let’s set an example for our kids and SPEAK UP! We will all be better for it! Leave a comment too, we would love to hear from you! API can help you create a safer workplace. and our Background Investigation services! Subscribe too so you won't miss other articles filled with tips for your Business! I'm glad to see these issues being talked about and not accepted as "normal" behavior! I agree Penny. The more we recognize what it is and how often it really happens, the more power we have to all band together to stop it!